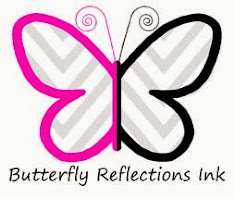 Butterfly Reflections, Ink. 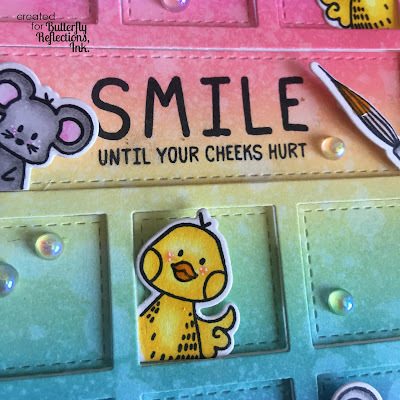 : Smile Until Your Cheeks Hurt! 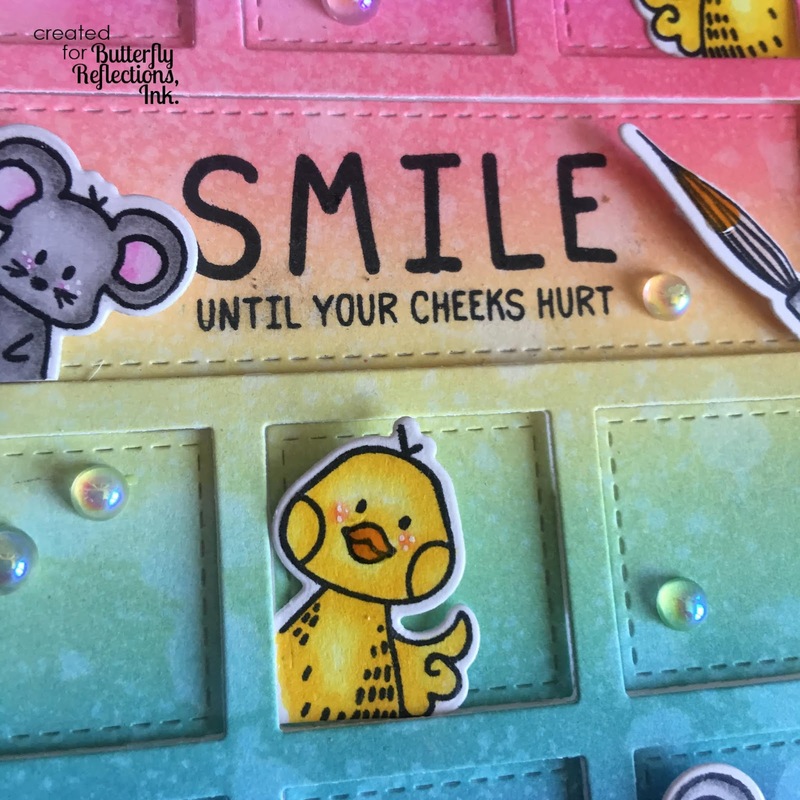 Smile Until Your Cheeks Hurt! Happy Saturday crafty friends! 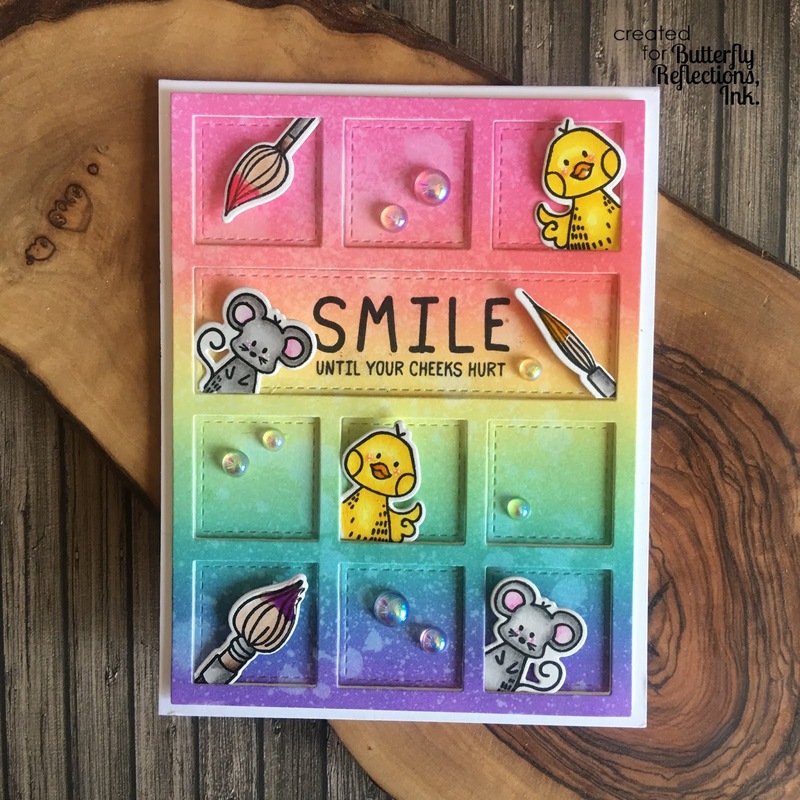 Kim with you this morning sharing this Waffle Flower card! All of these products are available in the store and linked below! 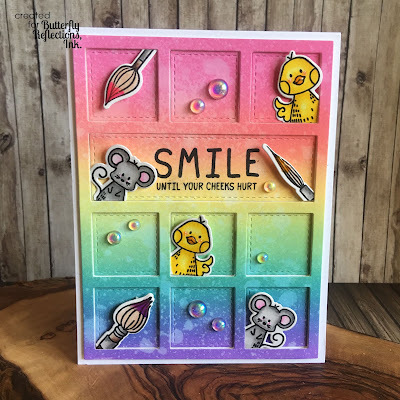 I was so anxious to break out my Little Painters Stamps and die set, I chose my images to work with the MFT Die-Namics Colage Cover Up Frame I used Oxide Inks in rainbow order for my background then sprayed it with my Distress Sprayer for texture. I stamped and colored my images with my Copics and used the accompanying dies. 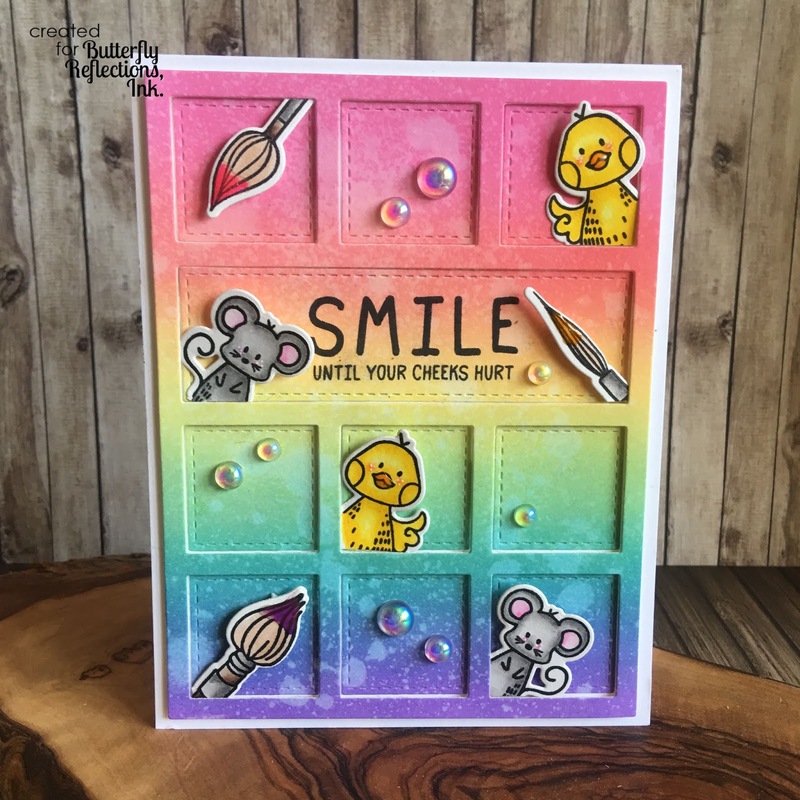 I planned out my layout and then stamped my sentiment then used some foam tape for my images. I finished off my project with some Studio Katia bubbles and some white gel pen for detail!